Several years ago, a few friends and I were discussing some more natural approaches to things and talking about chemicals and other things. I mentioned something about us being "crunchy" and one of my friends had never heard that term used before (Hi Megan!!). (If you haven't either, it is used to describe people who are really into natural things or kind of "hippie" if you will). Once we explained it, she laughed and said "well, I guess we are kind of chewy then!" Not quite crunchy, but still more than most people. So for years I've always thought of myself as a little bit "chewy". Maybe crispy is more accurate. This post is about to go full on crunchy though, guys. Don't say I didn't warn you. You need to use RAW honey. Not just the plain ole stuff from the grocery store-needs to be raw and local if possible. Honey has antibacterial properties in it when it is raw and not processed, which obviously makes it great for cleansing your skin. It balances your skin because it doesn't strip it of its natural oils. It cleans but still leaves the natural oils your skin needs, which is ideal. 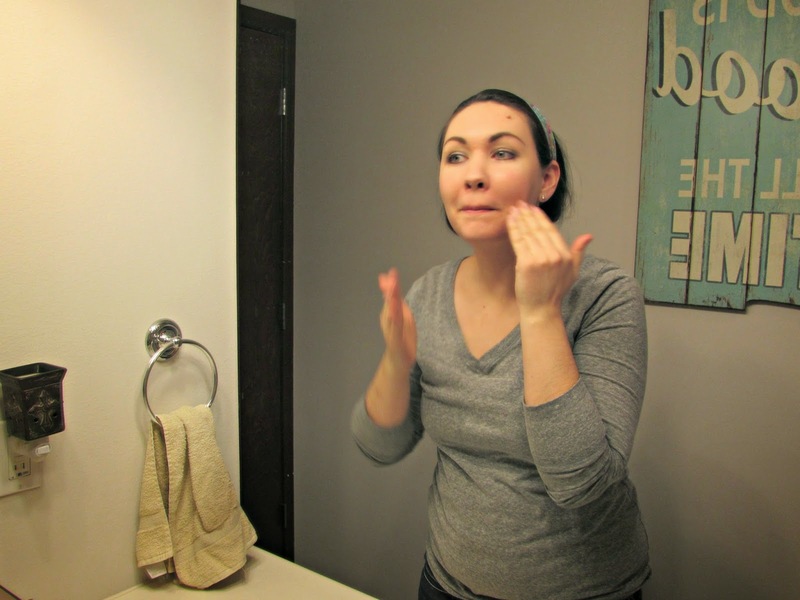 It won't remove your makeup, which is where the coconut oil comes in. 1. Get a small scoop of coconut oil (I use unrefined, organic) and rub it all over your face to remove your makeup. Swab it over your (closed) eyes if you have eye makeup on. Personally, I take a cotton ball to wipe the eye makeup off before rinsing. 2. 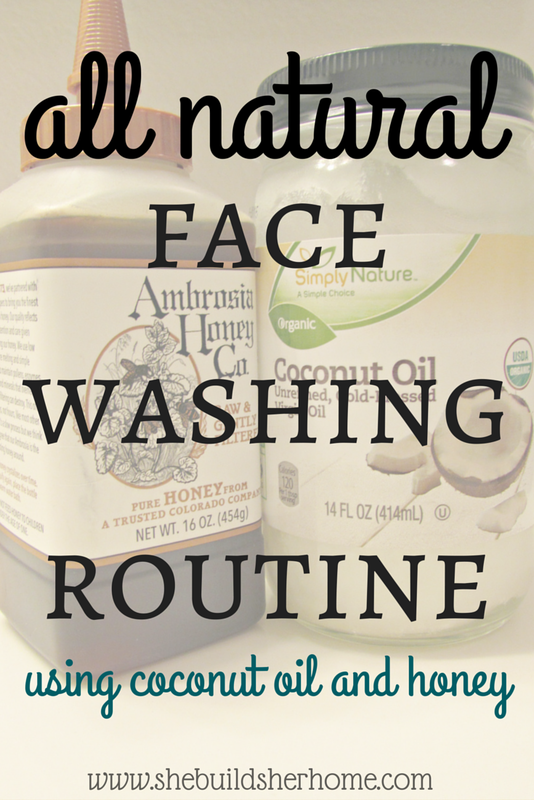 Rinse your coconut oiled face off under warm water or with a wash cloth. 3. 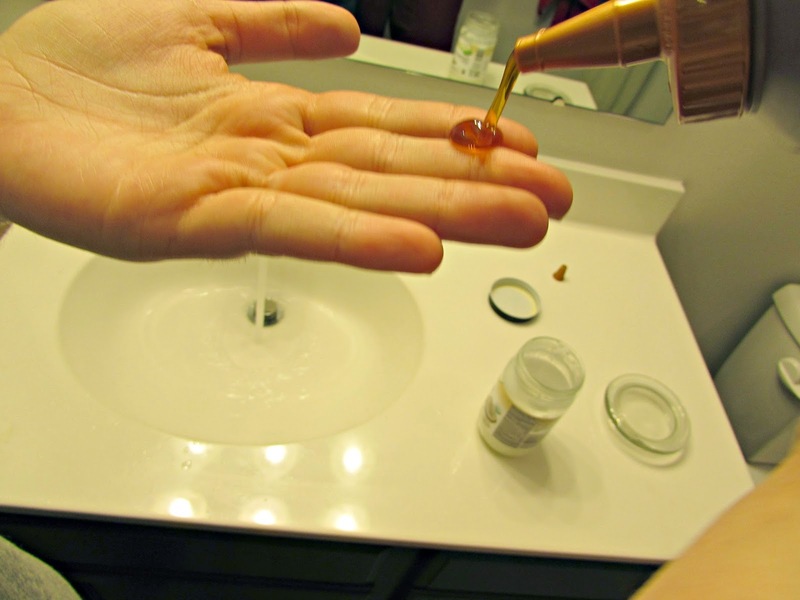 Squeeze about a nickle sized amount of raw honey into your wet hands and rub all over your face like you would with regular face wash.
4. Rinse! Make sure you get it all off or your face will be sticky later. 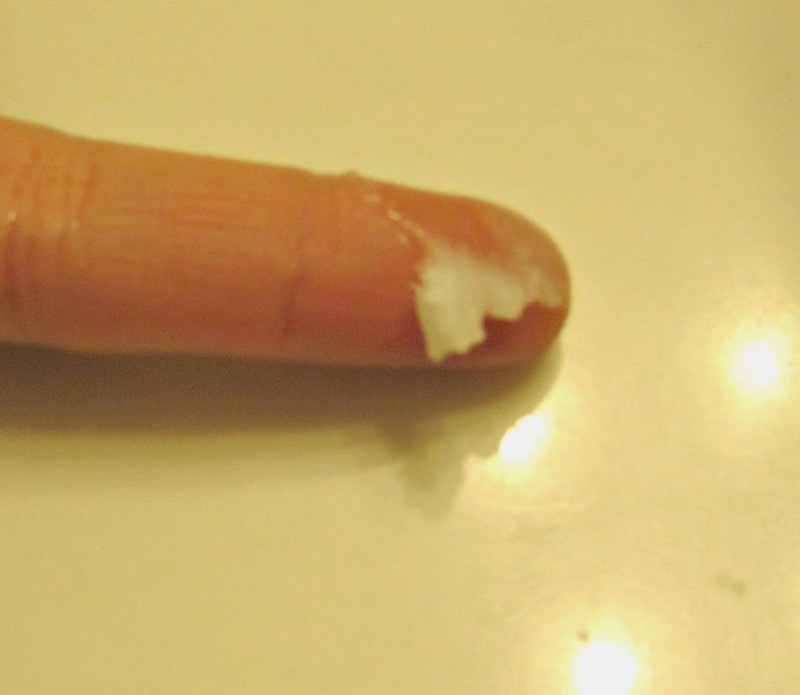 When I first posted about doing this on Facebook, the most common thing I had people saying was how sticky it must be. If you get your hands and face wet first, it isn't sticky at all. It glides right over your skin! I can honestly say my skin has never been so soft or looked so healthy since I have stared this regimen. I had been using coconut oil as a moisturizer for a little while and it was always really soft doing that, but the honey has taken it to a whole new level! So what do you think? Are you chewy/crispy/crunchy enough to switch to honey and coconut oil?! It's so affordable, too!